7th Central Pay Commission Fitment Factor in 7th CPC Government is Contemplating to Increase Fitment Factor from 2.57 to 3.68 under 7th CPC? (c) if not, the reasons for betrayal from assurances given by Home Minister and Railway Minister etc. 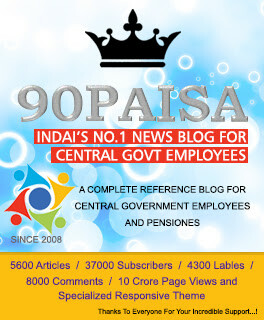 to employees associations in 2016? (a) to (c): The Minimum Pay of Rs. 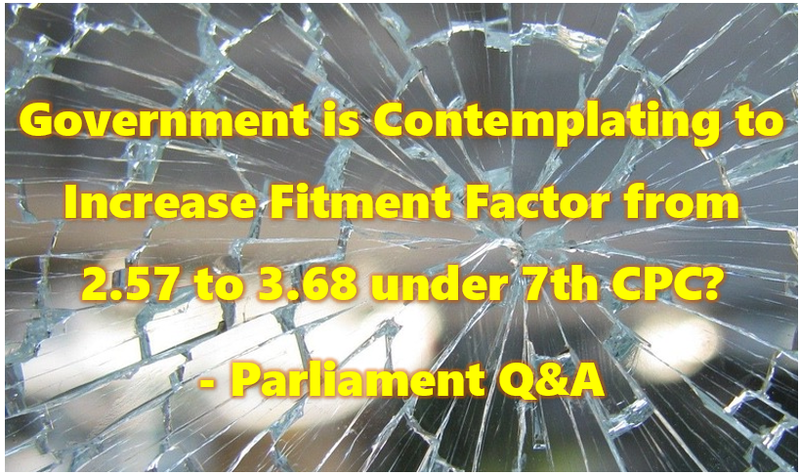 18,000 p.m. and Fitment Factor of 2.57 are based on the specific recommendations of the 7th Central Pay Commission in the light of the relevant factors taken into account by it. Therefore, no change therein is at present under consideration. The pension of AO drawing pre2006 pay of 11300 has been fixed as 34600/ WHEREAS pension of sr AO has been fixed as 34500/. Representation rejected on the ground that it is as per matrix. Can you fight for this anamoly?